Each gram of BETACLOTRI Cream contains 10 mg (1 %) Clotrimazole (micronized) and 0.643 mg Betamethasone Dipropionate (micronized) equivalent to 0.5 mg (0.05%) Betamethasone, in a cream base. Carton box containing Aluminum tube of 15 g and inner leaflet. Gently massage sufficient BETACLOTRI Cream into the affected and surrounding skin areas twice a day in the morning and evening for two weeks in tinea cruris, tinea corporis, and candidiasis, and for four weeks in tinea pedis. 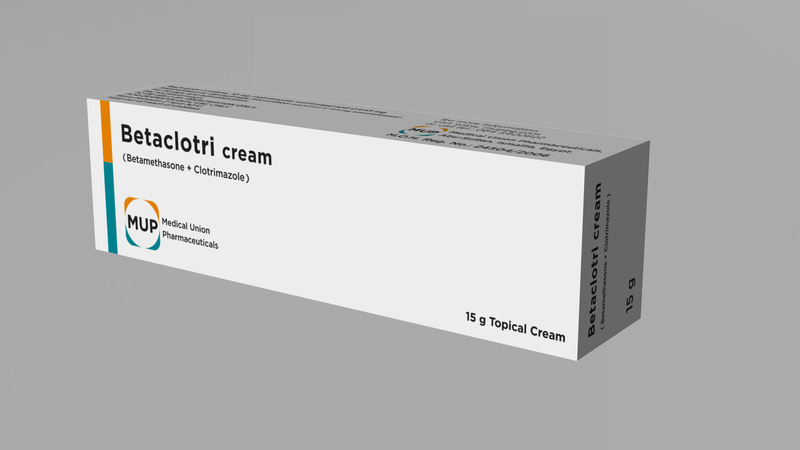 For treatment to be effective, Betaclotri Cream should be applied regularly. Cream should be applied regularly. 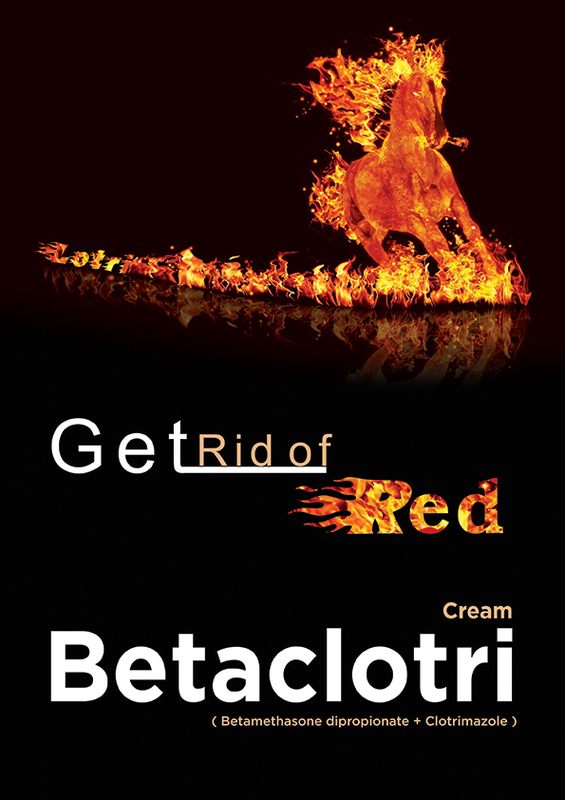 Indication: BETACLOTRI Cream is indicated for the topical treatment of the following dermal infections: tinea pedis, tinea cruris and tinea corporis due to Trichophyton rubrum, Trichophyton mentagrophytes, Epidermophyton floccosum, and Microsporum canis; candidiasis due to Candida albicans; particularly those accompanied by local inflammation and/or pruritus.